Kathryn is a Partner in Sintons’ Healthcare Team. 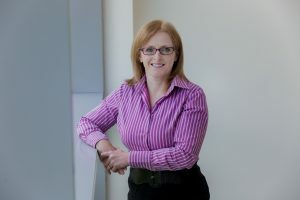 She has over twenty five years’ experience in advising on medico-legal matters and has recently gained a Masters in Medical Law with distinction from Northumbria University. Kathryn advises NHS Trusts on all aspects of medical law and ethics arising from patient care. She represents NHS Trust’s and their employees at Inquests, and in Court of Protection and Inherent Jurisdiction proceedings. Advising on the application of the Mental Capacity Act (MCA) and Deprivation of Liberty Safeguards (DoLS) in clinical and community settings including capacity assessments, ‘best interests’ disputes, use of restraint, LPAs, deputyship, advance decisions, DoLS authorisations and the interface between the Mental Capacity Mental Health legislation. Medical treatment decisions – including refusal of treatment, consent to treatment issues, end of life decisions, withdrawal of treatment, disputed best interests decisions, and finely balanced ethical dilemmas. Provision of emergency and out of hours advice on medical law issues. Treatment of children and young people. Child and adult safeguarding matters including support and representation for health professionals called to give evidence in Court of Protection, child protection proceedings and criminal proceedings. Court of Protection, Inherent Jurisdiction and Family Court applications including urgent and out of hours applications. Extensive experience of representing NHS Trusts and their employees at Coroner’s inquests including high profile media sensitive deaths, those involving allegations of neglect and gross negligence, complex Article 2 inquests, regulation 28 reports and jury inquests. Dealing with the Police and regulatory authorities.